This cottontail kept sniffing the base of the old saguaro and hopping up where there were no spines, hopping down, and sniffing some more. Cottontails are the mammal I see most frequently both in the desert and in our neighborhood. Fortunately our dog Ellie pays them no mind, she’s never cared about wildlife even in her younger years. Although we still see them on our walks it’s been a week or two since one has been in our backyard, is there a number I can call to complain about this? 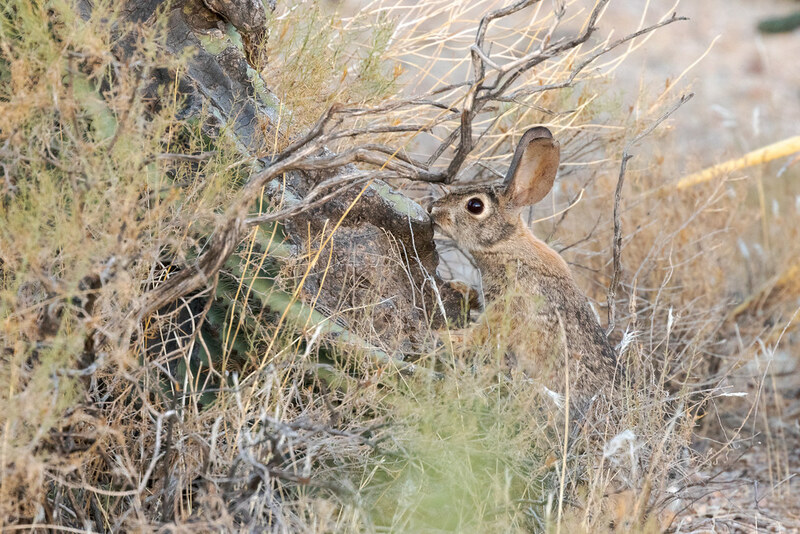 This entry was posted in Mammals and tagged Arizona, Brown's Ranch, cactus, desert, desert cottontail, rabbit, saguaro, Scottsdale, Sonoran Desert. Bookmark the permalink.